Does the Bhagavadgita Teach Violence? 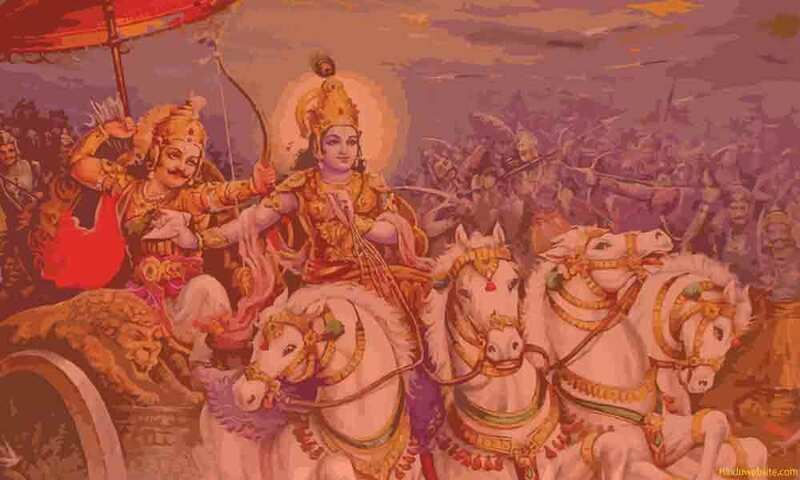 Does the Bhagavadgita teach violence? Yes, absolutely. In a country like Russia, which participated in two world wars and witnessed great destruction of life, the teachings of the Bhagavadgita are very relevant. Unfortunately, some bigots did not want to give it due credit or put the teachings in a proper context. The Bhagavadgita speaks about the unavoidable nature of violence only in the context of a soldier's duty. Now, before the commencement of a war no one should tell a soldier that for the sake of nonviolence he should disengage from war and lay down his arms. If anyone says it, he or she will be considered insane and even traitorous. Every soldier has the warrior's duty to defend what he has pledged to defend. Once he enters the battlefield, holding a weapon, he has an obligation to do his part even if he may not like the war personally and has moral dilemmas. At that stage, he cannot afford to have moral or spiritual doubts about his participation or commitment. The Bhagavadgita addresses this fundamental problem that every soldier may face at some point of time. It suggests that a warrior has an obligation to do his duty with detachment even if it is unpleasant and has some personal or social consequences. He should play his part, without worrying about the consequences, for a righteous cause that is greater than his personal interests, family obligations and sense of justice. He should be aware that he is not the cause of that war and he is just participating in a drama that was ordained by God. This is the message of the Gita. The Bhagavadgita was originally meant for the warriors of India. Wars in ancient India were brutal and bloody. Death was almost certain for those who participated in them. People had to fight with their hands and feet in the face of their enemy. The Bhagavadgita provided them with a righteous purpose and noble cause to participate in such wars and take the outcome with stoic indifference. The scripture is not only about the real wars in which soldiers participate but also the war of life in which we all participate. While the scripture was originally meant for warriors, its message is still relevant to common people also, because in a sense we all are warriors in the battlefield of life. We cannot avoid violence that is inherent in existence. Whether you are a warrior or a water carrier, you cannot avoid harming or destroying life in your struggle for survival. You have to kill numerous life forms and microorganisms as you cook food, drink water, eat fruit, buy groceries, walk on earth and across fields, dig the ground, construct a house or grow a plant. Potentially, all the activities in which you interact with the world, people and objects, you may incur bad karma as you may intentionally or unintentionally cause harm and destruction. You cannot avoid violence totally even if you are a vegetarian and do not kill anything intentionally. Our world is characterized by impermanence. Death and destruction are interwoven in the fabric of mortal life. No one can escape from it. Therefore, for a morally righteous person who chooses nonviolence as a way of life, living in a violent world is itself a huge problem. The Bhagavadgita understands this predicament and offers a solution. It provides a safe and practical solution to deal with the unpleasant actions one has to perform in the battle of life as part of one's survival. It wants people to remember God as they perform actions since their actions may hurt others or cause them some loss or inconvenience, which may result in bad karma. Through the various yogas suggested by it, a devotee can attain the supreme state of peace in which neither he disturbs others nor he is disturbed by them. In its ultimate purpose, the Bhagavadgita is not about violence but dealing with the unavoidable predicament of indulging in violence in the battlefield of life and emerge from it without mental and moral dilemmas. What is Bhakti or Devotion?